Bridget (right) was one of the initial three trustees and also our first professional employee. She is an exceptional young woman who came to Ingwavuma after graduating and worked at the local high school, then jointly set up an English medium primary school. She speaks isiZulu fluently and has a passion for education. She is responsible for teacher training, monitoring and support. 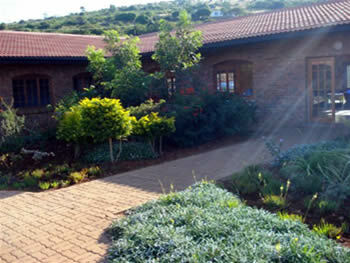 She has also developed the Molteno method to suit local needs and created children's workbooks to reinforce the method. For Grade R children she has created characters and stories to help them learn sounds and develop pre-reading skills. Zisize's Director is Hlengiwe Mthimkhulu (left). 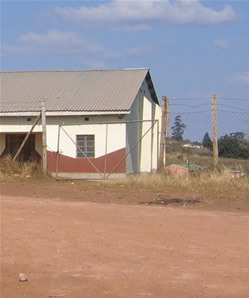 She took up this post in 2007, having been Principal of Mpontshini Primary School previously. Hlengiwe has the respect of the whole community and has superb motivational qualities. 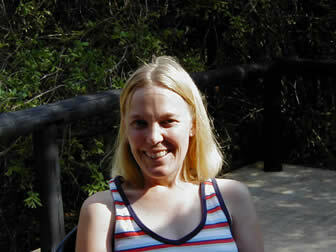 She and Niki Lee (below) along with the late Zanele Dlamini (below left) were instrumental in creating Zisize in 1999. Niki is now one of the ten trustees whose collective expertise covers education, social work, nursing, development, planning, management and training. 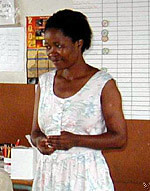 Zisize began operations with only two volunteers in 1999. Volunteering and giving of self is very much the ethos of the organisation. Many of the current staff began as volunteers. The staff group is now 61 strong and comprises the Director, finance manager, education trainer, psychologist, ECD manager/trainer, 2 social workers, a nurse, a career guidance counsellor, a librarian, radio project staff, computer trainer, admin staff, foster carers, creche staff, cooks, cleaners, garden trainers, community care workers, family motivators, lifeskills workers and security guards. 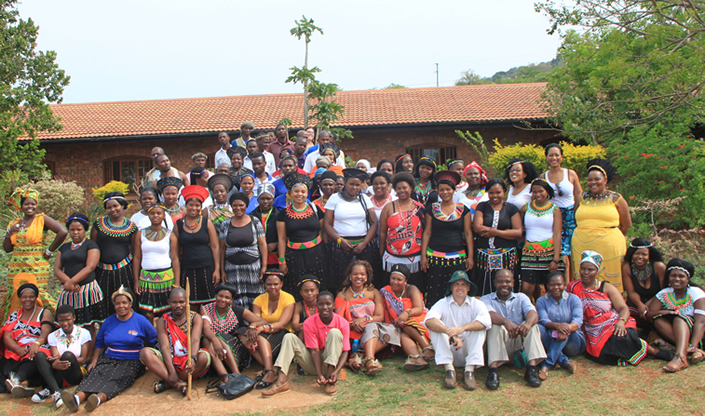 Below are some of them on Heritage Day 2012. Nothing could have been achieved without the hard work of staff and volunteers and the generous help of funders, individuals, families and groups from all over the world who have supported Zisize. Everyone who has given anything, financial, material, time and energy, has made a vital contribution to Zisize’s work and made it the vibrant organisation it is today. 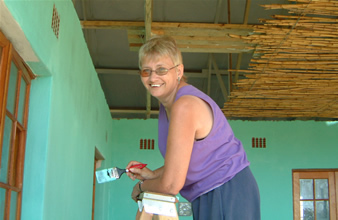 In 1998 Niki Lee had gone to Ingwavuma as a volunteer at the English medium school but worked one day a week at Zulu medium schools and saw an extreme level of deprivation first hand. 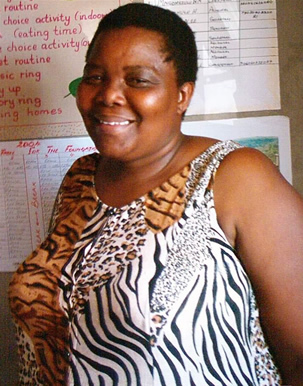 Inspired by teachers such as Hlengiwe Mthimkhulu, Zodwa Kabini, Pretty Mahlangu and the late Zanele Dlamini, who were dedicated to their pupils, but operating in appalling conditions, she was motivated to do something to assist them. She began by begging the cast offs of more fortunate members of South African society - books, educational toys etc. She then approached Port of Natal Round Table and NBS, who jointly funded a photocopying machine, and the British Consulate which gave R25,000 worth of materials, equipment and books. This facilitated the creation of Zisize Teachers’ Resource Centre in a tiny room at Buqothobesizwe Hall in May 1999. Simple beginnings have led, almost fourteen years later, to several projects, all geared at improving children’s lives, giving them the opportunities to reach their potential in life. In 2000 Zisize was given free use of a disused dormitory by TEBA, which allowed services to develop but in 2006 we moved into our very own building and this has dramatically affected our ability to reach out and touch more lives, more deeply. For this we are grateful to Starfish Greathearts Foundation, Anglo-American, UNISON, Zisize - The Heaton Lee Memorial Trust and Victoria & Adam Freudenheim for the funds to build, and to the Mngomezulu Tribal Authority for the permission to use the land. Operation Jumpstart extended the facilities by funding a psycho-social office block and Jephcott Trust a toilet block on the site. a 3m x 2m outside room at a community centre. Zisize is built on firm foundations and has grown steadily from a tiny organisation dependent on volunteers and donations of second hand materials to a professional organisation employing 61 people and delivering a range of help to benefit more than 5000 children in nine communities.